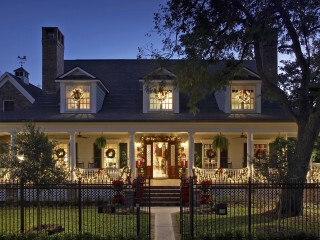 Select homes in the Houston Heights will be decorated for the holiday season and opened to the public in this tour of one of the city’s most cherished neighborhoods, rich in its diverse mix of architectural styles, from Queen Anne elegance to 1920s bungalow comfort to the urban energy of sleek contemporary spaces. The annual event attracts crowds of locals and is a popular holiday destination. $20 in advance, $25 on the day of the tour.